Yes, it can be fun to celebrate at home with family and friends. But sometimes it’s even more fun to leave behind all the preparation, the cleaning and wrapping and cooking in favor having it all done for you. This year, there are so many options for carefree holiday celebrations. Here, we have a few. Busabout offers several trips to celebrate the holidays in exotic locales among like-minded fellow travelers. These trips combine food and fun in fantastic European locations that are steeped in holiday spirit. Eastern Festive Trek: This December, discover all the jingles and bells of Eastern Europe, and show Santa you’ve been a good little traveler. 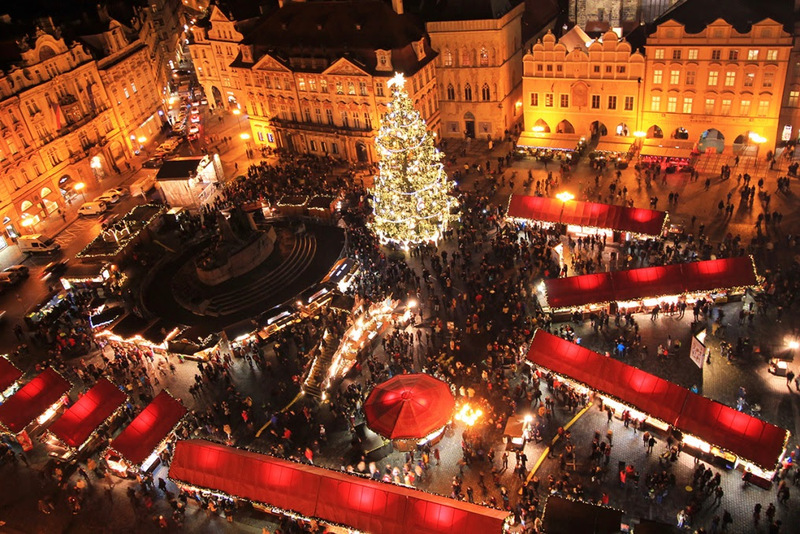 Stuff your stockings in the markets of Kraków and Vienna, get merry under the mistletoe in the parties of Krakow, admire the craggy mountains around Zakopane, and ring in the New Year in Prague. Even if you’re a little bit naughty, Santa’s little helpers will give you a good gift!. You’ll also visit Budapest, Vienna, and Český Krumlov. 11 days; departs December 22, 2017. Price from $1,229 pp. Mega Highland Christmas (operated by HAGGiS): Imagine a Highland setting for Christmas, with lochs, glens and rugged mountains. Then add a traditional Christmas dinner with all the trimmings followed by a cèilidh (traditional Scottish dance party) and a dram or two. A wee bit different to sitting by the TV…eh? Throw in a real Christmas cracker, the magnificent Scottish Highlands covered in a blanket of snow, and have the time of your life with Christmas Day spent in a Highland hotel fit for the royals. This is one truly traditional Scottish Christmas to remember! Visit Edinburgh, Loch Ness, and Inverness. 5 days; departs December 23, 2017. Price from $759 pp. For more information about these trips, visit the website or call 1-877-668-4328. 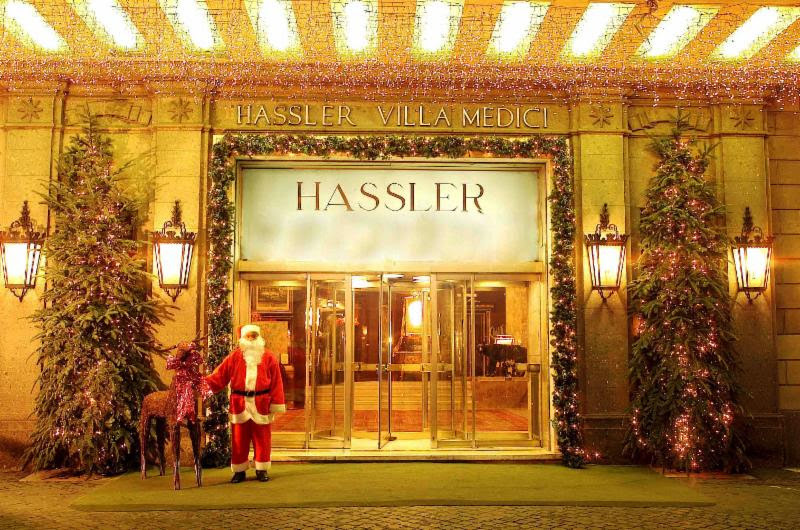 This holiday season, the iconic Hotel Hassler Roma, located atop the Spanish Steps, invites guests to experience the spirit of the Eternal City with a selection of Christmas and New Year’s packages. Enchanting Christmas Dream includes: Three nights’ accommodations in a Deluxe or Grand Deluxe room; daily buffet breakfast; six-course Christmas Eve dinner with such signature dishes as lobster and black truffle at Michelin-starred Imágo; Christmas Day Afternoon Tea with live music in the Salone Eva; a sweet Christmas surprise in-room upon arrival; chauffeured transfer from Fiumicino Airport. Priced from €2,106 (approximately US$2,495), the package is based on two people sharing and is valid for arrivals from December 22 – 24. Sparkling Imágo New Year’s Package includes: Three nights’ accommodations in a Deluxe or Grand Deluxe room; daily buffet breakfast; bottle of Champagne in-room upon arrival; traditional Afternoon Tea served in Salone Eva; New Year’s Eve gala dinner at Imágo (featuring such dishes as foie gras served with dried fruits and King Crab with caviar), followed by dancing in the Salone Medici; chauffeured transfer from Fiumicino Airport. Priced from €3,809 (approximately US$4,513), the package is based on two people sharing and is valid for arrivals from December 29 – 31. Salone Eva Gala Dinner New Year’s Package includes: Three nights’ accommodations in a Deluxe or Grand Deluxe room; daily buffet breakfast; bottle of Champagne in-room upon arrival; traditional Afternoon Tea served in Salone Eva; New Year’s Eve dinner in the Salone Eva followed by dancing in the Salone Medici; chauffeured transfer from Fiumicino Airport. Priced from €2,949 (approximately US$3,495), the package is based on two people sharing and is valid for arrivals from December 29 – 31. For more information about these special offers, visit: http://www.hotelhasslerroma.com/en/offers. If you have a taste for adventure, consider the new itinerary in Finland and Sweden from Arctic travel and Northern Lights specialists Off the Map Travel. As part of a multi-day itinerary, the double New Year’s Eve celebrations begin with a four-course gala dinner, before travelling into the Arctic wilderness along the frozen, torch-illuminated Torne River for champagne toasts at the riverside ice bars, fireworks, bonfires and a traditional sauna. Guests and local residents together will dance to the New Year’s Eve countdown in Finland and then travel to Sweden where the time is one hour earlier. Swedish treats and music continue the festivities. Along with the scheduled fireworks in each country, it is hoped that the Northern Lights will also make a double appearance. 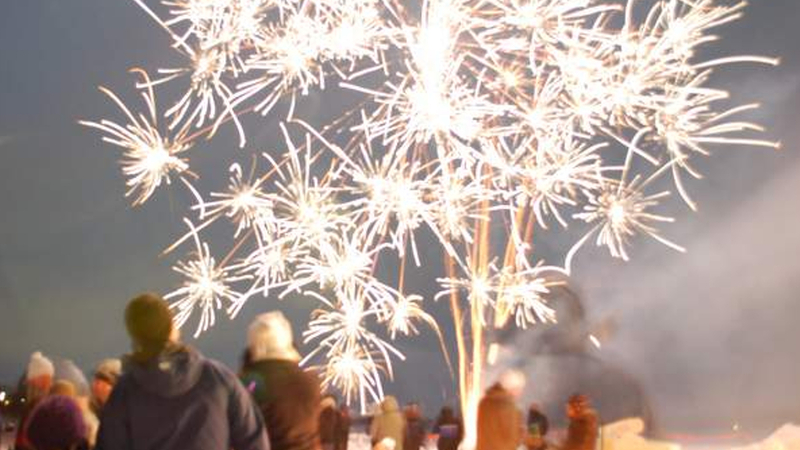 The “Do It Twice” New Year’s Eve itinerary is filled with Arctic activities including a three-hour dogsledding expedition, Northern Lights hunts, swimming in an outdoor ice hole, saunas and outdoor hot tubs and, of course, delicious Scandinavian meals. New Year’s Eve itself is the highlight, a magical combination of ice, snow and fire, with ice bars and local music setting the tone in each country. As part of the celebrations, revelers can also choose to enjoy a traditional sauna followed by an outdoor hot tub, or ice hole swim. Other activities possible during the holiday include driving a reindeer sled (and receiving a reindeer-driving license), learning curling, or playing a round of Arctic mini-golf with bright orange golf balls visible on the snow. Guests begin the program flying into Lulea Airport in Northern Sweden. Accommodations are in a balcony room at the Grand Arctic Hotel in Overkalix, Sweden, recently re-opened after a one-million-euro refurbishment. The luxury hotel offers pampering and tranquility, particularly welcome after the double New Year’s Eve celebrations. For more information, email info@offthemap.travel, visit www.offthemap.travel; call +44 (0) 800 566 8901. When it comes to celebrating the holidays, the North Pole has nothing on The Palm Beaches in South Florida — not even snow. 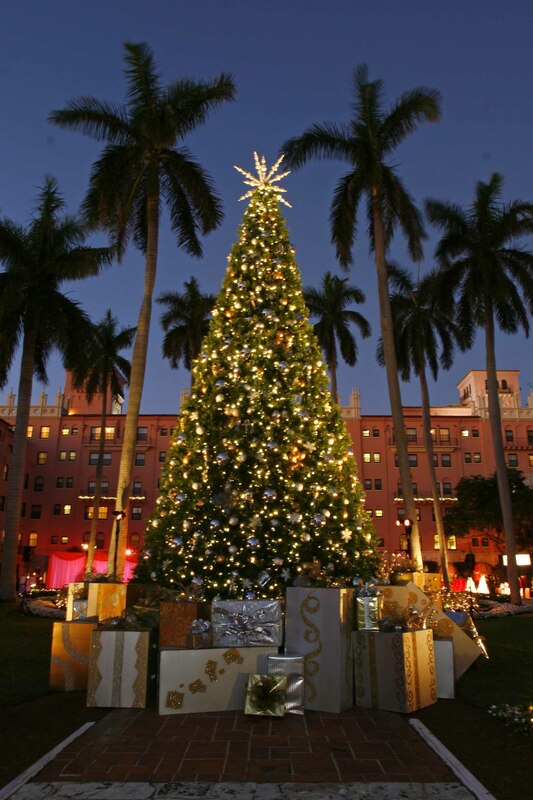 This holiday season, visitors can experience nightly “snowfalls” at CityPlace and meet the world’s only 35-foot-tall holiday tree sculpted from sand in West Palm Beach, walk through a 100-foot Christmas tree in Delray Beach, ride the Polar Express in Boca Raton, view a lighted boat parade in Boynton Beach, decorate holiday cupcakes in Palm Beach, and shop for holiday gifts at a lighthouse in Jupiter. Add to the mix seasonal discounts from selected properties, and The Palm Beaches could be the start of a new holiday tradition. A collection of 39 cities and towns stretching from Jupiter and Tequesta to Boca Raton, The Palm Beaches boast 47 miles of pristine beaches. Watersports, eco-activities, shopping venues, farm-fresh dining options, cultural offerings and lodgings ranging from luxury beachfront resorts to chic in-town hotels ensure that there’s something for everyone in America’s First Resort Destination®. During this spectacular holiday season, several hotels are offering special packages. For example: Palm Beach’s Chesterfield Hotel’s Home for the Holidays package: Offer includes two nights in a room or suite; a complimentary glass of Champagne on arrival; English breakfast each morning; valet parking; a mixology lesson with two cocktails per person; and towels, chairs and sunscreen to take to the beach. From $335 per night (excluding taxes) based on two adults sharing a classic queen superior room. Valid through Jan. 2, 2018. The holiday programming at the Boca Raton Resort & Club, A Waldorf Astoria Resort, includes comedy and live music experiences, seasonal family offerings and festive celebrations. The resorts Best of Waldorf Astoria package starts at $337 for double occupancy for stays through December 31, 2017 and includes: $100 resort credit based on a two-night stay in the Cloister Estate rooms; exclusive access to guest-only dining, award-winning Waldorf Astoria Spa treatments; resort activities including the new FlowRider® wave simulator and access to Boca Beach Club private beach and amenities. Guests can order a decorated Christmas tree to their door from Boca by Design at the cost of $650 for a 4-foot tree and $1,000 for a 6-foot tree, along with room-to-room bedtime stories for all children from Mrs. Claus on Christmas Eve. 2017 seasonal highlights include the following experiences: Menorah Lighting (Tuesday, December 12 at sunset–around 6:00 p.m.); Family Hanukkah Dinner (Friday, December 15 at 7:00 p.m.); Boca Raton Boat Parade Party and Fireworks (Saturday, December 16 from 6:00 p.m. to 9:00 p.m.); Christmas Grand Buffet (Wednesday, December 25 from 3:00 p.m. to 8:00 p.m.); Family Fun Night (Saturday, December 30 from 5:00 p.m. to 10:00 p.m.); Cirque Dreams 2018 Family Show (Sunday, December 31 at 5:30 p.m.); Rock the Block This New Year’s Eve (Sunday, December 31 at 8:00 p.m. with live performances beginning at 10:00 p.m.). 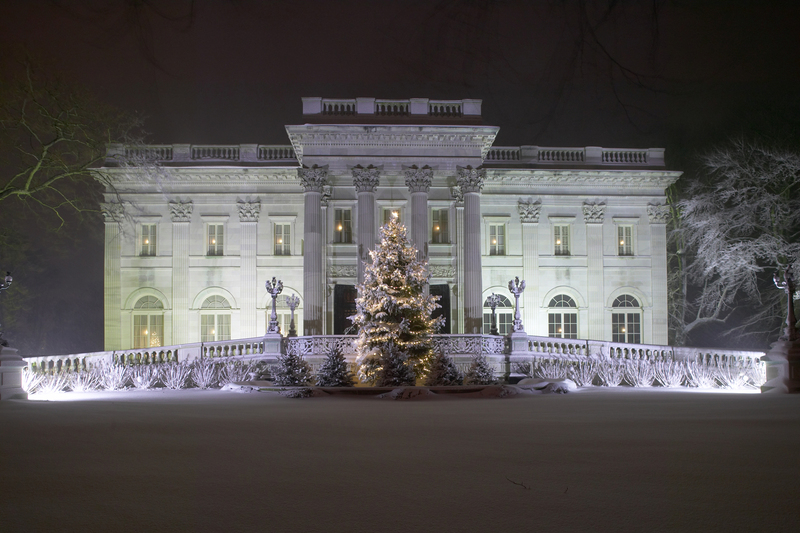 Christmas at the Newport Mansions, an annual celebration by The Preservation Society of Newport County, begins on Saturday, November 18, 2017 and continues through January 1, 2018. The Breakers, The Elms and Marble House will each be decorated with beautiful trees, ornaments, fresh flowers, and evergreens, sure to invoke the spirit of Christmas in adults and children alike. The decorations in each house–and in individual rooms–are tailored to match the historic decor. Throughout the three houses, there will be a total of 30 decorated Christmas trees of all sizes, plus thousands of poinsettias, fresh flowers, evergreens and wreaths. Windows in each mansion are lit with individual white candles. New this year, on display in the kitchen of each mansion will be a large gingerbread model of the house, each created by a local pastry chef. Also new this year, in the butler’s pantry of The Breakers, a 9-foot Christmas tree will be decorated with ornaments made by 4th grade students at Newport’s Pell Elementary School. The traditional 15-foot tall red poinsettia tree will once again be on view in the Great Hall of The Breakers. Made up of up to 150 individual plants, the poinsettia tree is a perennial visitor favorite. On the second floor loggia, model train reproductions of the Vanderbilt family’s New York Central Railroad will run through a vintage landscape, overseen by volunteers from the Little Rhody Division of the National Model Railroad Association. At The Elms, a winter wonderland theme in the ballroom will feature period sleighs and lanterns, mannequins wearing vintage clothing, trees and a topiary horse. There will also be a “selfie” photo spot, where visitors can take their own photos surrounded by a gilded frame. Also on display at The Elms will be a collection of vintage toys. Marble House will feature two new Christmas trees on its first floor, in the gold ballroom and the library, as well as a large fresh-cut tree outside the front door, decorated with white lights to complement the white candles in the windows. Rosecliff will also open from December 3rd Also Open in December for tours, including the exhibition “Pierre Cardin: 70 Years of Innovation” in the second floor gallery. Santa Claus will visit the houses in December. Children can visit with Santa from noon to 3 p.m. at The Breakers on December 3, Marble House on December 10, and The Elms on December 17. The visit with Santa is included in the regular admission price. Holiday Evenings at the Newport Mansions recreate the ambience of an evening soirée during the Gilded Age. These open house evenings allow guests to stroll at their leisure through the decorated house, listening to live holiday music and enjoying cookies, eggnog and cider. Holiday Evenings at The Breakers are scheduled for Saturdays, November 25, December 2, 9, 23 and 30, from 6 p.m. to 8 p.m. On December 16, guests can enjoy a Holiday Evening Duet: The Elms and Marble House, and see both of those houses for the price of one, from 6 p.m. to 9 p.m. Admission to Holiday Evenings is $35 in advance, $45 day-of the event. Children 6-17 are admitted for $10 in advance, $15 day-of. Children under the age of 6 are admitted free. More information and tickets are available online or call (401) 847-1000. For a holiday stay in Newport, the Grace Vanderbilt is an historic boutique hotel originally built by Alfred Gwynne Vanderbilt, a scion of the wealthy Vanderbilt family. The 1909 property is a vintage Newport mansion that has been restored to its former glory and is one of the few private homes of the era to operate for guests as a fully functioning and top luxury hotel in Rhode Island. For more information about the hotel, see a Luxe Beat story on the property, Luxury Weekend Newport Rhode Island.